On the weekend of October 6-7, 2018, the National Park Service is hosting a unique living history event on the Chancellorsville battlefield. Visitors will have the opportunity to engage with reenactors by receiving an identity card containing information about an actual soldier or civilian who fought or witnessed the battle. 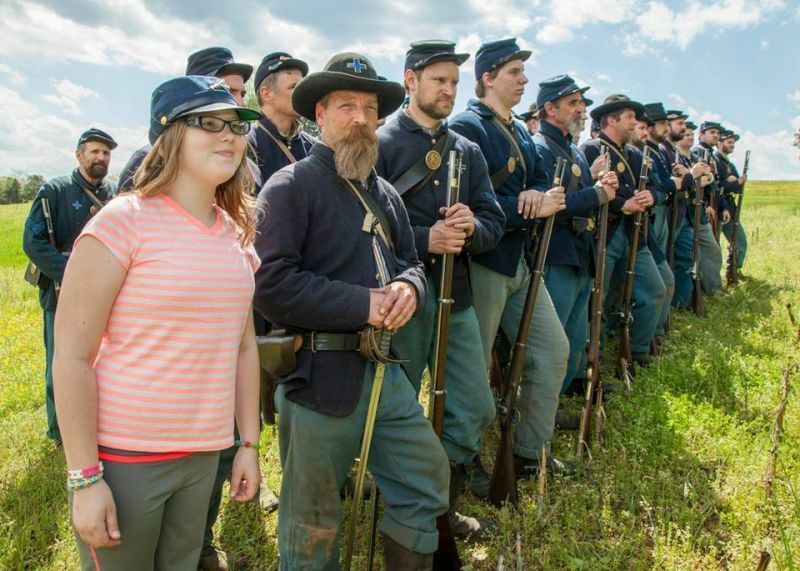 Attendees can immerse themselves into the battlefield’s history while learning about what happened to the person they were assigned. The event will be ongoing between the hours of 10:00am and 5:00pm on Saturday and 10:00am and 3:00 pm on Sunday. Special programs about the Battle of Chancellorsville, which will include both marching and musket-firing demonstrations, will occur at 11:00am and 2:00pm on Saturday and Sunday. All activities take place at the Fairview site (Stop #10) on the Chancellorsville battlefield. Visitors are encouraged to stop by the Chancellorsville Battlefield Visitor Center at 9001 Plank Road to obtain a map and directions to the program location. The event is family friendly, free of charge, and open to the public.